Simplex sewage ejector systems are ideal for residential, small commercial, light industrial and agricultural liquid waste applications. These packaged systems are designed to collect liquids and solid waste materials from lavatories, floor drains, sinks, showers, laundry trays, water closets, etc. When the level in the basin rises to the pre-set ON level the pump will energize and evacuate the collected liquid waste. 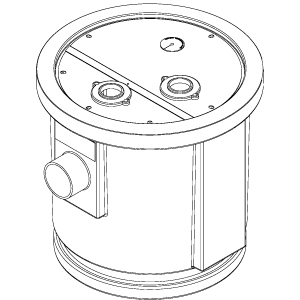 The packaged system includes the pump, float control, basin, basin cover, discharge pipe and discharge valve.